October 26, 2015 October 26, 2015 / Elizabeth T.
Hello loves! Today, I’m going to be sharing some tips on a topic I’m sure everyone is really interested in – how to shop on a budget! As a fashion blogger who’s constantly styling new outfits inspired by the season’s hottest trends, I have to constantly add new pieces to my wardrobe in order to keep my looks fresh and interesting. Contrary to the popular belief that fashion bloggers must spend a fortune on their wardrobe, though, I’m actually quite a saver, and I actively try to control my spending every month because (let’s be honest), I’m living on a budget too. Now I’m pretty sure you all have a lot of questions, and one particularly burning one in the back of your mind now – how do I manage to create so many different looks if I’m spending conservatively? 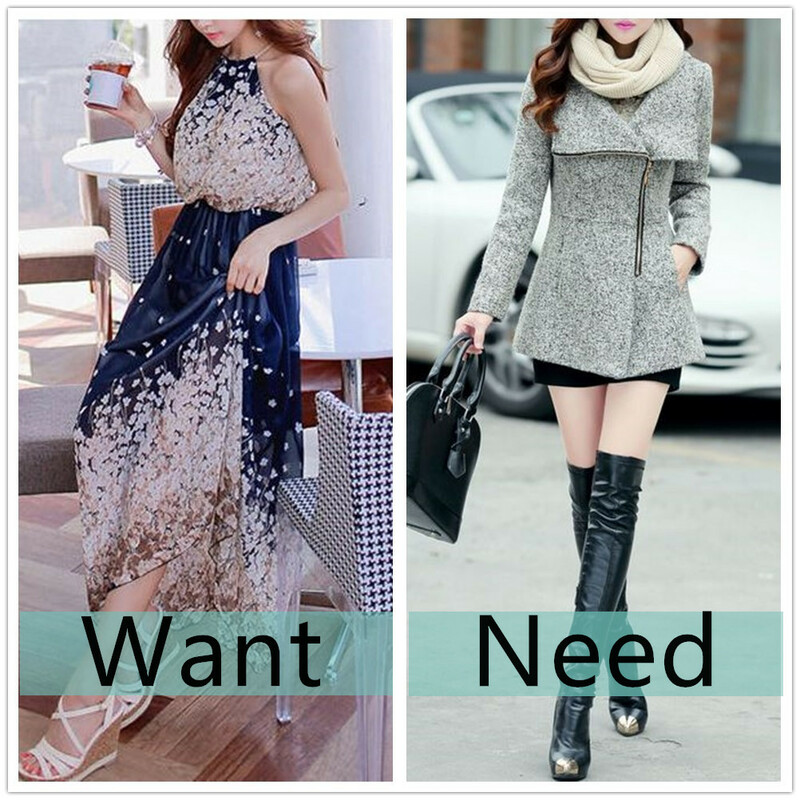 The difference between want and need is the sole differentiator that will determine whether or not I purchase something. For example – it’s summer, and I see a beautiful floral dress that’ll look perfect paired with some high heeled sandals. But I have about five floral dresses at home already. Do I really need another one? The answer is pretty obvious – nooooo! That’s when I’ll sigh a little to myself before putting said item back on the rack. Now in another scenario – it’s winter, and I see a really nice pair of knee-high rain boots. Not only are they durable for the tougher and cooler weather conditions, they’re something I’ll definitely need when it starts to rain because who wants to walk around with soaked socks and soggy shoes? By asking myself this question of want versus need every time I shop, I effectively prevent myself from buying things that I just want in that moment but are of no actual real use to me. Is the Item Worth the Price? Another method that I use to help control my spending is to assess whether or not the item I want is worth the price. Divide the price of the item you’re buying by how many times you think you might actually wear it. Let’s take a really pretty LBD that I’ll wear for girls’ night out from Urban Outfitters. Though it’s about $120, I’ll most likely wear it only once or twice. That means I’ll divide $120 by the 2 times that I’ll actually wear it, meaning this item will be worth $60/wear. Likewise, let’s look at Longchamp’s Large Le Pliage Tote, a bag that I love carrying to work due to its versatility and durability, which goes for about $145. To be fair, since I always switch out my bags depending on my outfits, let’s say I wear the Longchamp about 2 times a week, which means I’ll probably use it about 8 times a month. That means I’ll divide $145 by the 8 times I’ll be using it, meaning this item will be worth about $18/use and that’s only for one month! As you can see from the two above scenarios in which I use my little assessment determinant, some items simply aren’t worth their cost for the amount of times that you’ll actually be wearing/using it, while others items (even if they seem a little expensive at the moment) are definitely worth its price. I’m pretty sure you all know this by now – trends come and go every year. This is why I never really splurge on trends, such as crop tops, culottes, joggers, and the likes because I honestly can’t confidently determine their return next year. Because of this very reason, I tend to buy these items from fast fashion stores, such as Forever 21 or H&M since they sell them for a relatively cheaper price, so if they go out of style next year, my wallet won’t feel so hurt. Likewise, even if these trends do stay, the money you save from splurging on these items allows you to try different colors, patterns, and cuts, which in turn, can help you create more fun looks! So now that we’ve covered what to save on, we can actually splurge on some things too! 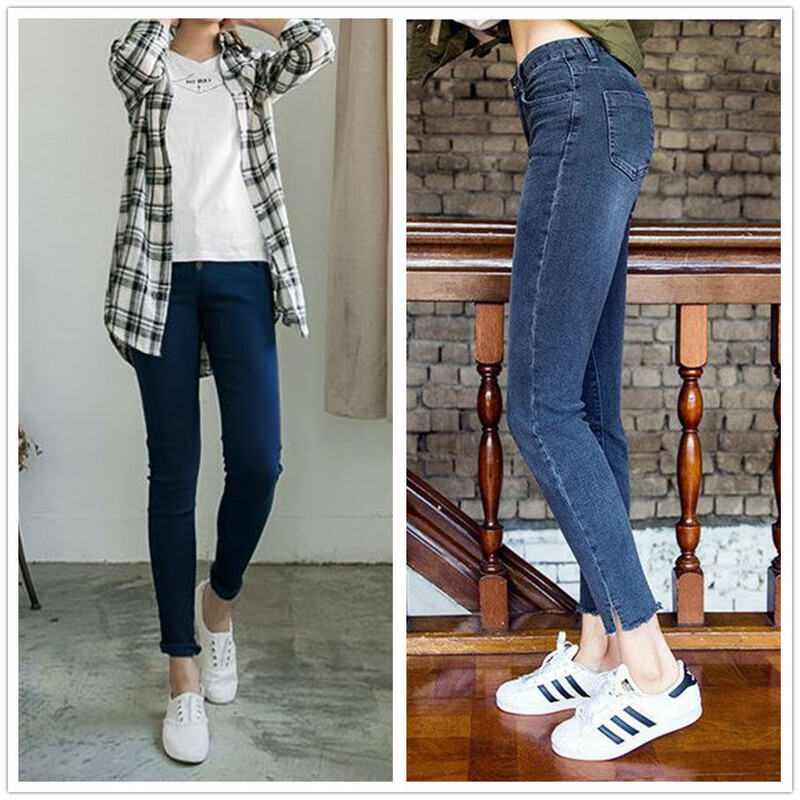 There are a few items that I would spend a little extra for, and these include jeans, coats, and bags. Coats are another item that I splurge on because higher quality coats can last so long, and the material makes such a difference in terms of durability and warmth. Bags are definitely something to splurge on as well, since genuine leather lasts much longer than its more budget friendly counterparts. If versatility is something that you’re worried about, start off by purchasing black or dark brown leather purses first, as they tend to be more timeless and classic since they never go out of style and are so easy to match with just about any outfit. By spending a little more on these few items, I won’t have to keep repurchasing mediocre pieces that’ll add up really quick 🙂 That’s why splurging (on the right things) can actually help you save money in the long run. 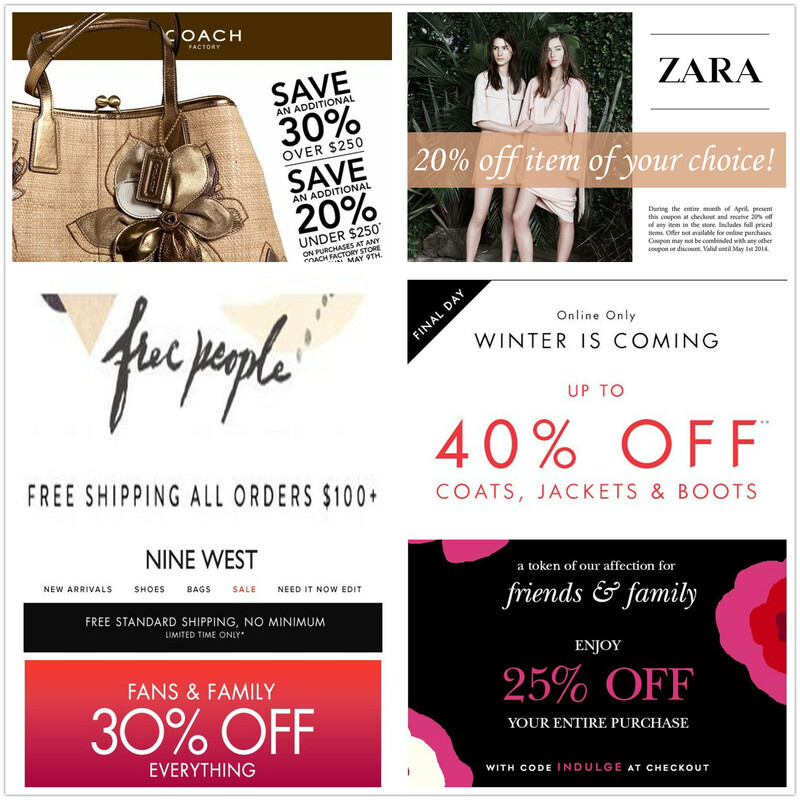 And of course, last but definitely not least… take advantage of sales and coupons! If there’s something that I know I want and need (but that I don’t have to have right away), I keep a look out for it, checking the website periodically to make sure it’s still available. And when a sale is happening or a coupon code is offered, I hop on over to the store’s site right away to snag the item that I want. I hope this post was helpful to many of you, and let me know in the comments about how you all shop on a budget too! It’s always good to learn some new tips/tricks! Yes, I live by these rules – they help me save so much money every year 🙂 Haha I’m glad you found this post helpful! ❤ Thank you so much for visiting my blog, Shirlyn! Always appreciate the feedback! Great tips dear!!! It’s especially hard during the holidays haha. LOL controlllll! 😛 Haha there must be a lot of things to buy in Korea! 😀 ❤ Get me something pretty please! Haha I know right? I never knew math could be so useful for shopping too! 🙂 Thank you so much for stopping by Alhely! ❤ I'm glad you enjoyed this post! And sure! I just followed your blog on Bloglovin! 😀 Can't wait to see even more great content from you! Great article and great technique! All great tips for shopping on a budget! Cost Per Wear is so important and helps make most of my decisions these days. If something is cheap, what good is it if I never wear it? I rather pay a little bit more to get more use out of it. Yes, I completely agree! Cost Per Wear makes such a difference 🙂 Glad you enjoyed this post love! i couldn’t agree more on how you said splurging on right things actually save you more money in the long run! bags especially! Yes, splurging on quality items like bags really make such a difference 🙂 Thank you so much for stopping by Annie! Great post! I am also investing more in basics and pieces that will look good no matter the trends! Yes, investing in quality pieces can really help you save money over time 🙂 Glad you enjoyed this post! Glad you liked this Caitlin! 🙂 Thanks for stopping by! Great tips! I wrote a blog post just like this a while ago, and they’re always nice to keep in mind. As a save shopper myself, I LOVE this article. It’s like you speak my language. Haha thank you so much for the support My Linh! 😀 ❤ I'm so happy you enjoyed it! i do some of the above too!!! putting money in classic clothes, bags, accessories is so essential, like what you said you’ll thank yourself for splurging or investing (i always think these things as an investment, haha) them in the long run!